It’s Monday again… which means another edition of Half Marathon Mondays! This past week was one that I was NOT looking forward to. Our training schedule called for us to run 16 miles - with six of those being on Saturday. I don’t know why I dreaded the six miles so much. There was no reason to. We did it pretty easily and at a pretty good time too...under an hour! We were pretty happy with that time. 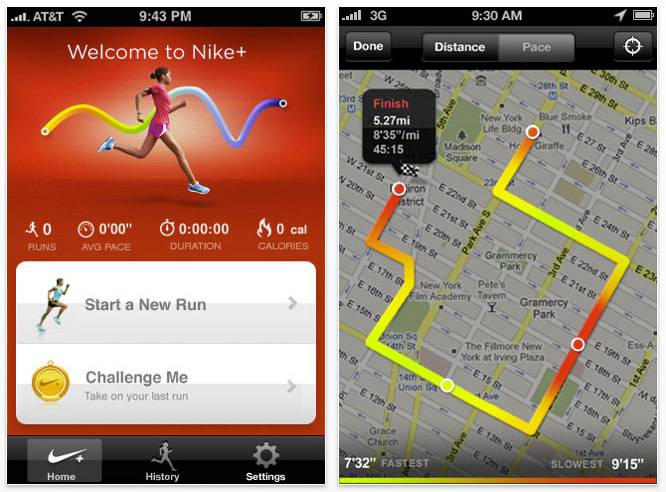 My Nike+ GPS app on my iPhone is seriously the bomb. It cost me the small fortune of $1.99 in the App Store. I originally bought the one that goes in your shoe for $35.00. I took that one back as soon as I figured out the App works for my needs. It allows me to know exactly how far I have gone, how fast I am running, and where I am averaging in pace and distance according to past runs. I love that it takes all of the hard work (math) out of the running equation. So thankful for that – math is not my strong suit. I really love the fact that it tells me how far I have run as I am running – it alerts me every quarter mile. Best part? I can still have my running playlist blaring while the app is running. AWESOME. Speaking of playlists, I thought I would share some of my fave (inspirational and fun) running songs. Winner - Jamie Foxx, Justin Timberlake, and T.I. Apparently I like a lot of rap and R&B. It gets me pumped. Do you have any good running/work out songs? I need suggestions. Running for over 2 hours is going to be boring without some good jams. We are going to go to Statesboro to cheer on my Georgia Southern Eagles to victory this weekend (GO EAGLES!!). We are going to switch out our rest day on Friday, for the long run on Saturday. Let’s hope we aren’t too sore to get up and cheer at the game! Hope everyone is having a good Monday! Talk soon, friends! 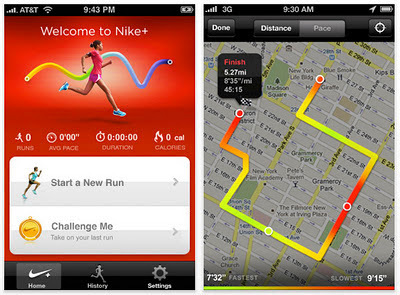 **I did not get paid to talk about the amazing Nike+ GPS. I just like this product. A LOT. I also forgot to mention you can upload your runs to Facebook if you want - but that aint my style. I'm so glad I found your blog and I LOVE this!! And I love getting a few new songs for my playlist. I'm getting ready to train for a 10 miler that will be here in Austin in April. I am scared to death! ha ha. I started running last January, did a 10K in April and have totally fallen off the running wagon. So I'm jumping back on...and I'm not really looking forward to it. :) I'll use you as motivation! Just received my payment for $500. So I show them a video of myself actually getting paid over $500 for taking paid surveys to set the record straight once and for all.